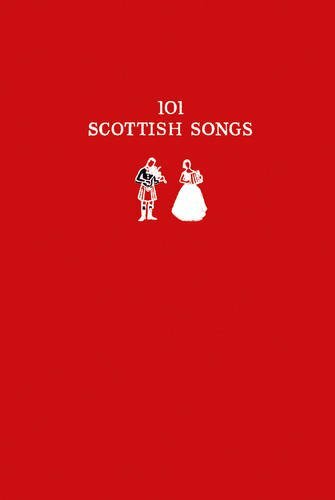 A small format gift book which is a reproduction of the popular book 101 Scottish Songs published by Collins in 1962. Popularized as the wee red songbook in Scottish folk circles, this publication was in print for 26 years.One of the most influential books of folk songs ever, compiled by Norman Buchan, and the book which provided a foundation repertoire to many a young singer in the 60s. These songs were a collection of the most significant and influential traditional Scottish folk songs in 1962 and many are still widely sung today. Popular traditional songs are featured, such as A Mans A Man, Auld Lang Syne, Mingulay Boat Song, Coulters Candy, The Ballad of Johnny Ramensky, Jamie Raeburn and Katie Bairdie. This unique collection from childrens to bothy songs and traditional to love songs celebrate Scottish music at it's best.